Fleas are one of the most common pests in the Portland, OR Vancouver, WA & Camas metro area. Fleas are tiny (1/16 to 1/8-inch) and dark in color. Because fleas are blood sucking parasites, their origin in our homes can usually be traced to a dog or cat. Although fleas are wingless and can’t fly, they have an impressive “jumping” ability (over 1 foot!) and can easily spring from animal to human and back again. The “cat flea” is the most common type of flea in the Northwest. 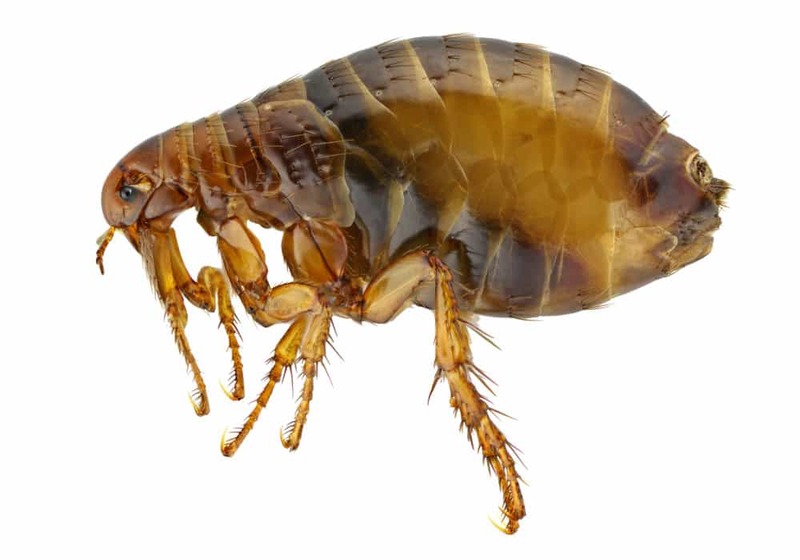 The cat flea is found on both dogs and cats and it comprises over 90% of all flea infestations encountered by Aspen Pest Control. Fleas are known for causing skin irritation like itching and rash. A flea bite can also cause bacterial, viral, and fungal infections in mammals. Although rare, flea-borne diseases may include tapeworm, ringworm, and murine typhus. The most common skin disease in dogs, dermatitis, is most frequently caused by an allergic reaction to the flea’s saliva. Veterinary treatments are largely ineffective against dermatitis making professional flea extermination very important. Aside from these health risks, fleas can have a serious impact on our psychological well-being. Seeing multiple fleas inside the home is the first indication of an infestation and most homeowners prefer to err on the side of early intervention. Aspen Pest Control uses two eco-friendly products to eradicate fleas which are safe for pets and children. One product will kill the adult fleas while the other will destroy the flea’s ability to reproduce. Our method is proven and has been used safely and successfully thousands of times. The average flea life cycle from egg to adult is 21-35 days. This is why it’s sometimes necessary to perform an initial treatment followed by a “knockout” treatment about 30 days later. Aspen guarantees to get to the source of the problem by breaking the flea’s egg cycle. Successful flea control and even total flea extermination are realistic goals when Aspen Pest Control treats your home. 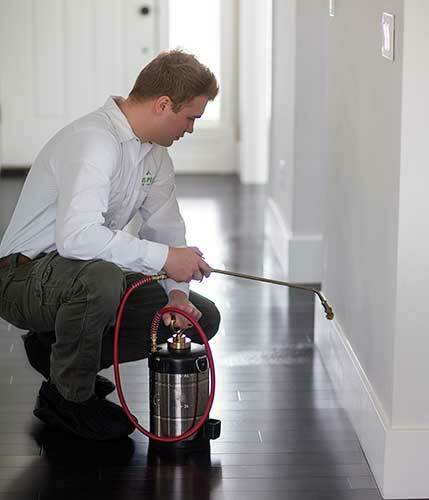 When you hire Aspen Pest Control you won't have to worry about whether our service will solve your pest problem. We provide our home protection plan customers with a full satisfaction guarantee. This means that if the pests come back, Aspen comes back in between your regular services absolutely free of charge!